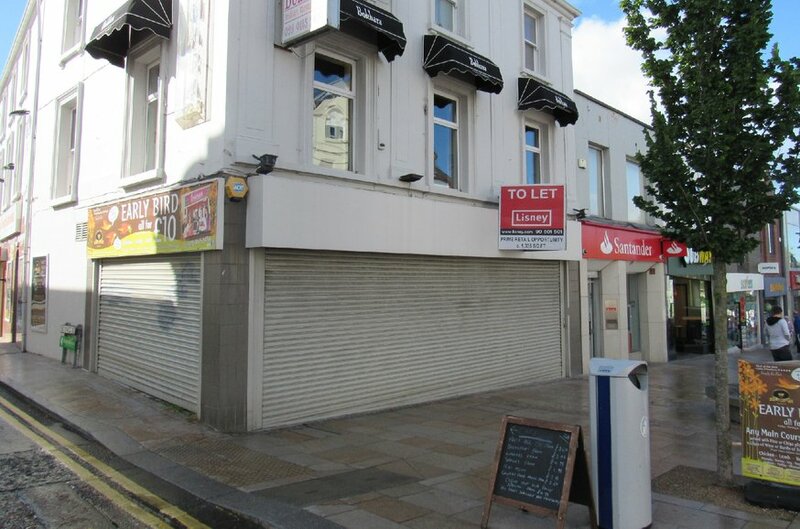 3 storey end terrace commercial property with return frontage. Centrally located on Main Street, Bangor. Prominent location on prime retailing pitch. Entirety of building comprises c. 5,430 sq ft. Ground floor unit available ‘To Let’. Bangor is a popular seaside town located approximately 13 miles East of Belfast. 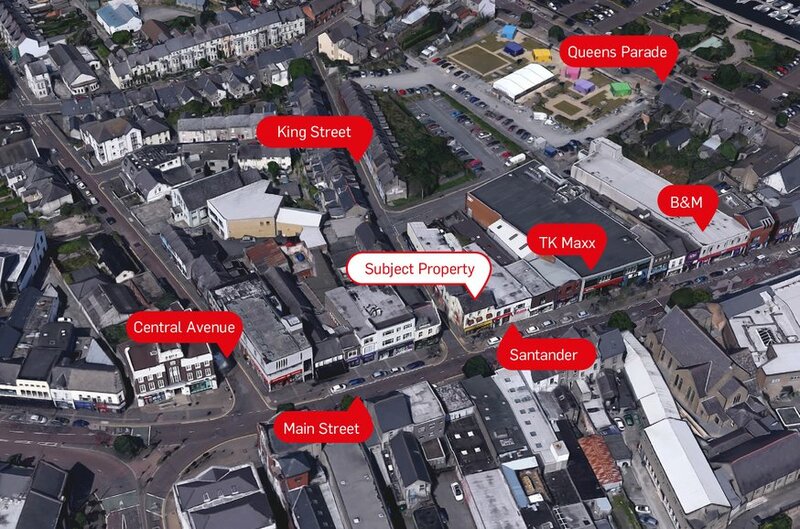 The subject property occupies a prominent and highly visible location fronting Main Street, Bangor’s primary retail pitch. Well known occupiers represented on the street include TK MAXX, Santander and B&M Bargains. 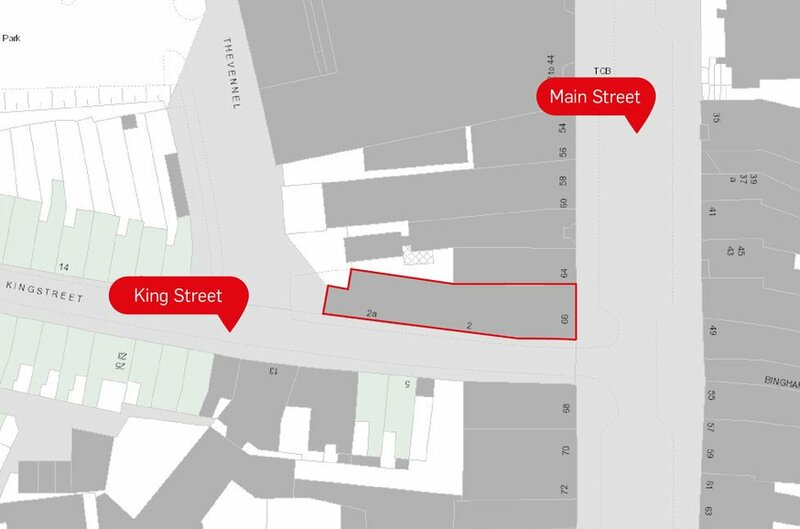 The property is located in close proximity to a major seafront regeneration scheme planned for the town centre which, upon completion, will provide a mix of residential and retail uses along with theatre and performance space. Planning permission has been granted for the development which will undoubtedly improve the locality. 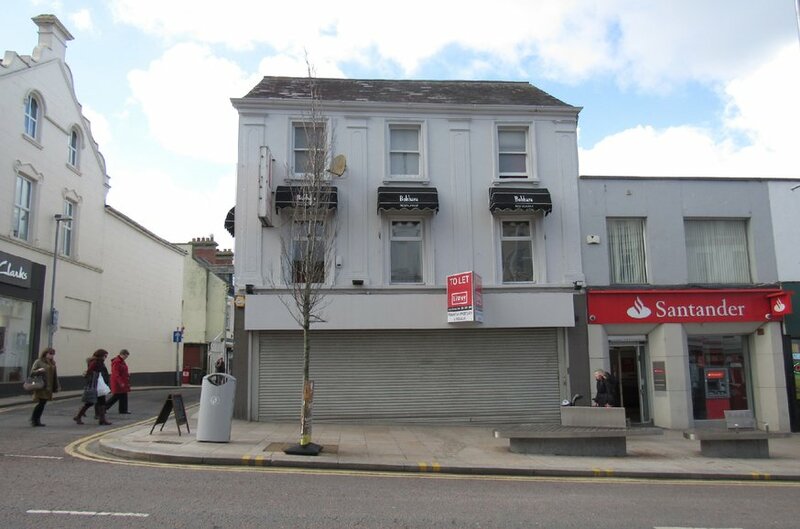 The subject property comprises a prominent 3 storey end terrace with 4 lettable areas currently. 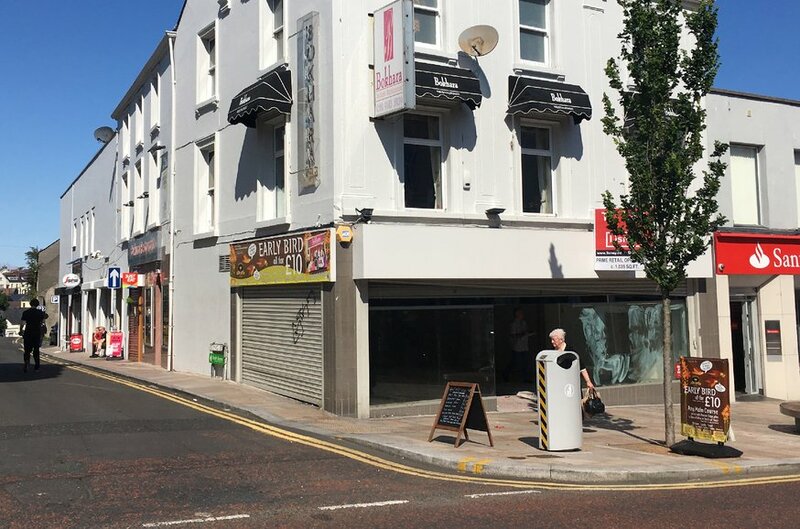 The unit is regular in shape with a glazed return frontage and is suitable for a range of retail uses, subject to the necessary statutory consents. The property has been finished to a ‘shell’ and is ready for an incoming tenants fit out. 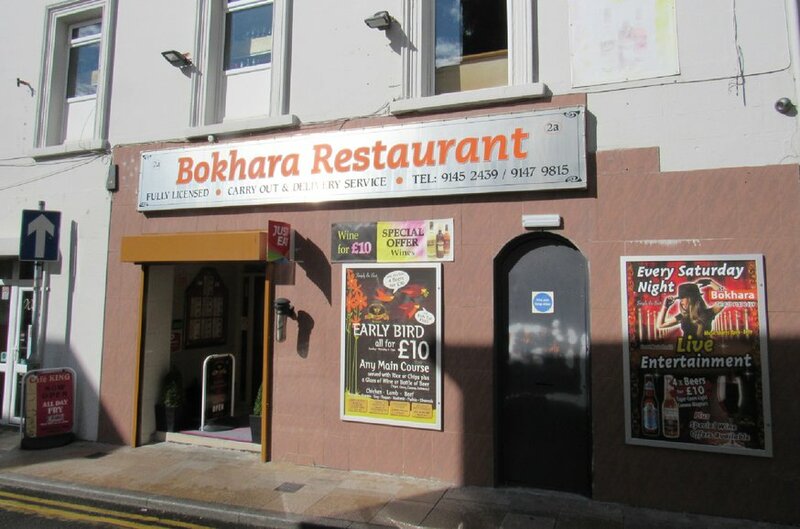 This unit is presently trading as a restaurant and comprises reception area, kitchen, staff room, store room and W.C facilities. 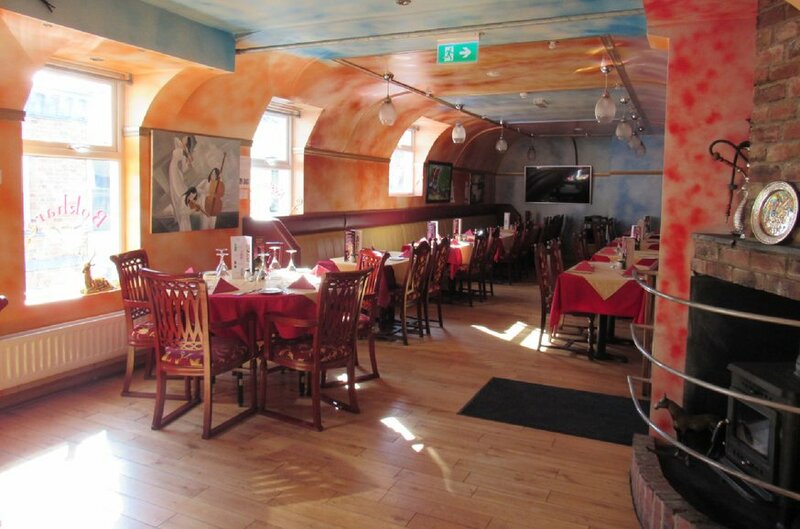 The main restaurant area is finished with laminate wooden flooring, papered walls, ceiling and recessed spotlighting. The fully fitted kitchen is finished to a good standard. Male and female W.C’s and further storage is located on the 2nd floor. The unit presently trades as a café fronting onto King Street and has a glazed front with ceramic tiled floors, plastered and painted walls with recessed spot lighting. The kitchen is located to the rear along with a store. This unit also trades as a café with glazed frontage to King Street, plastered and painted walls and recessed lighting. There is a kitchen / preparation area, W.C and store area. Current Total Income £30,480 P.A. Estimated Total Income £50,480 P.A. Term: By negotiation, subject to periodic upward only rent review. Repairs & Insurance: Full Repairing and Insuring Terms.